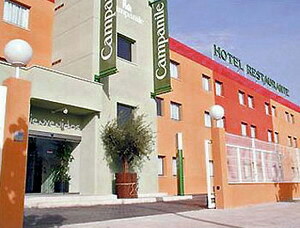 The Hotel Campanile Murcia is a modern property set within a commercial district of Murcia, two kilometres from the Cathedral and the Episcopal Palace. Murcia San Javier Airport is approximately 45 kilometres away with an approximate 40-minute journey time. Bus line 73 runs between the airport and Murcia centre; the journey time is approximately 50 minutes. 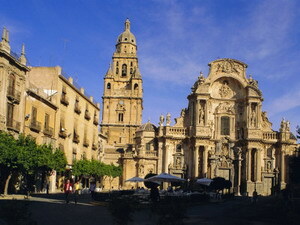 Murcia can be explored on foot or by bus. A hire car would be useful to explore the wider area. 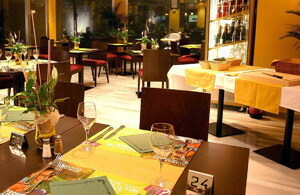 In the Restaurant Campanile a wide choice of set menus, all-you-can-eat buffets and a la carte dishes are available in a relaxed setting; open for breakfast, lunch and dinner. Guests can enjoy a glass of wine or a specialty coffee in the café bar, or unwind in front of the television in the lobby area. 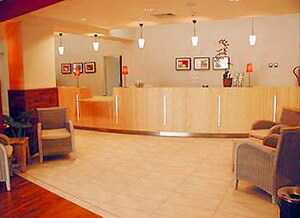 Those wishing to explore the area can consult the multilingual staff at the 24-hour front desk for tour assistance. 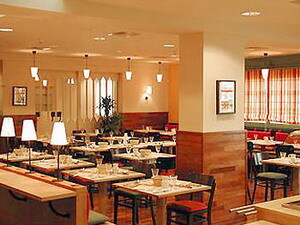 Guests can also benefit from conference facilities and complimentary parking onsite. There are numerous attractions within eight kilometres of the hotel: the Cathedral, Romea Theatre, Episcopal Palace, Casino, Almudi Palace, Salzillo Museum. 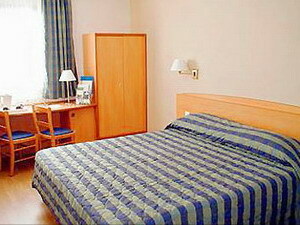 The 117 air-conditioned guestrooms feature light decor with blue fabrics and simple furnishings. 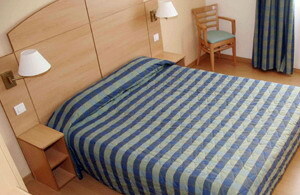 All rooms include welcome trays with tea, coffee and biscuits. Modern amenities include satellite television, air-conditioning, direct-dial phones, clock radios, and private bathrooms with showers and hair dryers.